Thanks to all of our Mailbox Monday hosts! Created by Marcia at The Printed Page and on tour this month with Jenny at Let Them Read Books. A thank you as well to Sheila at Book Journey! I'm excited about this past week - do take a look and let me know what you received as well. Have you read the books that I received? Did you like them? I have a couple of these, but not the Hera book, which looks great! I hope that you enjoy them all and I look forward to hearing your thoughts on Bezilla Grove. I hear that's an excellent book, and I am excited about reading it! I very much enjoyed The Elegance of the Hedgehog. I hope you'll like it. I absolutley loved The Elegance of the Hedgehog. Hated the ending (not because it wasn't a good ending story-wise, but because I just, personally, didn't want it to end that way). It is a terrific book. The Georgette Heyer romances are every bit as good as her mysteries. I'm not big on romances, but when I read them I like them to be well-researched historical romances. Heyer's fit the bill perfectly. My favorite is Arabella. Ooh all of these look so good! Happy reading! My mailbox is at The Crowded Leaf. I still want to read Hedgehog but I never get round to it! Hope you'll enjoy it. Loved Elegance of the Hedgehog...made me chuckle to see the view of the world through the two main character's eyes. Loved the ending too..I like it when books do something daring. Lisa -- too funny! I hate when I do that, too! Tribute Books Mama -- Sounds like a good book - demoted from VP to the mailroom in a Dickens kind of way? Sounds like something that will get you going and laughing! Thanks for stopping by! The Elegance of the Hedgehog was wonderful! I agree with the others that the ending was especially well done. I haven't read any of the books you received, but I've heard lots of good things about The Elegance of the Hedgehog. Enjoy your new books! I've read The Elegance of the Hedgehog. It's good, but a bit heavy in places. I'm re-reading it in 2011 for one of the reading challenges I'm pursuing. Looks like interesting reading and Congratulations on your win! I listened to The Elegance of the Hedgehog and LOVED it. I hope you love it just as much in print! Enjoy your new books! The Improper Life of Bezellia Grove sounds good! Enjoy! I am hoping Santa brings me a giftcard so I can get both Susan Gregg Gilmore books. They have been on my wish list for a long time. Enjoy! 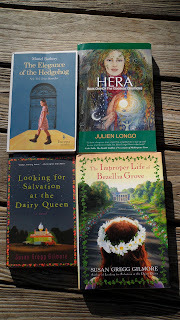 Hedgehog was not my favorite book, but was at the same time one I am glad I read, if that makes sense. It is very different from most books I have read and has some gorgeous imagery, although sometimes there are pages of philosophy that made me go cross-eyed. Hope you enjoy it though! Oh I really want to read that Improper Life of Bezilla book - I hope you like it! Your mailbox this week definitely looks like a great one! I haven't read any of these, but I certainly would love to! Congratulations on the win and enjoy them all! I'm so glad you got the books and hope you enjoy them as much as I did! Congrats on the two Susan Gregg Gilmore books. I really want to read both. And I loved the Elegance of the Hedgehog. Not a simple book but I really liked it. I have Dairy Queen on my wishlist. Did you meet Gilmore at SIBA? She was so real, you have to love her. I have a couple of her books here that I intend to read soon! I'm currently reading Great Expectations ... how's the Count of Monte Cristo going? I count that book as my all time fav! Your Muriel Barbery book is the one that makes me envious! Its just not available here. Wooooo I like the title for Looking for Salvation at the Dairy Queen.... what is that one about?? 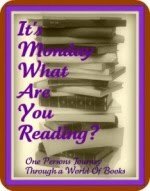 Enjoy the reads and going to look up this book on goodreads. They all look wonderful!! It would be hard to pick just one to read! I've heard awesome things about the Elegance of the Hedgehog ... and what an awesome win!!! Congrats! 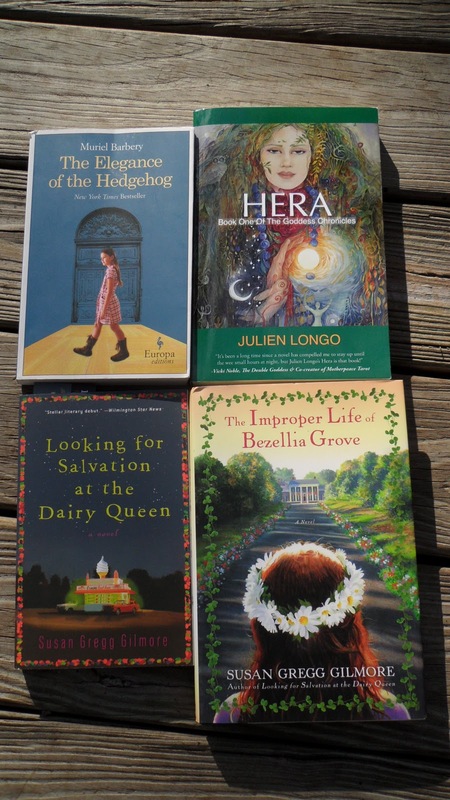 Thanks for stopping by my blog today - I haven't read any of the books you received this week but hear good things about the Hedgehog title. Wow! I hope you enjoy all of them! What a great pile of books, especially the autographed ones. Congrats! Hello, I stopped by your blog today.